One of my favorite things about the Fall is the Fall festivals happening in the Laurel Highlands. And, in my opinion, the best are yet to come! All of this for one price – $5.00 for adults, $2.00 ages 6-18 and under 6 free. Ample free parking for cars, buses, and RV’s. Hours are 9:00 AM – 5:00 PM, Friday and Saturday, October 3 & 4, 2014. The Springs Historical Society is located on Rte 669 (Springs Rd.) between Salisbury, PA (US 219N) and Grantsville, MD (US 40, I-68 exit 19) in southern Somerset County, PA. The physical address for the Springs Folk Festival is 1711 Springs Road, Springs, PA 15562. For more information, visit: http://springspa.org. 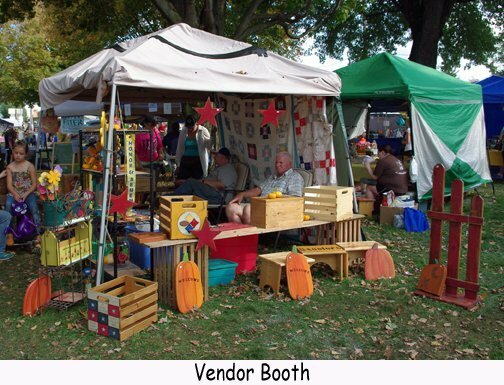 The Confluence Pumpkinfest will also be Friday through Sunday, October 3-5, 2014, in Confluence, Pennsylvania. Confluence is located in the southwestern corner of Somerset County, along routes 281 and 523. It is situated along the banks of the Youghiogheny and Casselman Rivers and Laurel Hill Creek. “This festival gives arts & crafts and food vendors the opportunity to show and sell their goods in the town park. It also features many interesting and exciting events. Among those are the Pumpkinfest Queen Pageant, a 5K run/walk, an antique and classic auto show, a parade, and a largest pumpkin contest. Other events include a garden tractor pull, recipe contest, photo contest, tough man fire truck pull, live music, an antique tractor show and more.” For more information, visit: www.confluencepumpkinfest.org. The Ohiopyle-Stewart Volunteer Fire Company will be hosting the annual Fall Buckwheat Supper on Friday and Saturday, October 10 and 11 from 10am until 8 pm each day. The supper includes all you can eat buckwheat cakes and pancakes, home fries, applesauce, and pickles, plus a generous serving of whole hog sausage and a beverage. The cost is $8.50 for adults, $4.50 for children 3-12, and children under 3 are free. The event benefits the Ohiopyle-Stewart Volunteer Fire Company and the Ohiopyle-Stewart Community Center. Live entertainment will include musical performances in the gazebo on the Stewart Place on the Green located on Sherman Street across from the fire hall and community center. There will also be local craft vendors set up along Lincoln Street between the fire hall and community center and Backyard Garden’s Lincoln Street Market and Oddly Enough will be open featuring fresh local produce, other local goods and wine, clothing, and jewelry. The physical location of the Fire Hall is 17 Sherman Street, Ohiopyle, PA 15470. For a more detailed listing of other Fall festivals in the Laurel Highlands, visit www.laurelhighlands.org.